This week has unofficially turned into shellfish week. I was in the grocery store and saw littleneck clams for sale and figured I’d give them a go. This is my first time ever cooking littleneck clams. I was debating on whether to cook them on the grill but in the end I decided to steam them. I used beer, garlic, lemon, Old Bay, and parsley to make a broth then steamed the clams in this mixture. I was surprised at how easy the clams were to prepare. You just throw them into the pot then check to see when the shells have popped open. 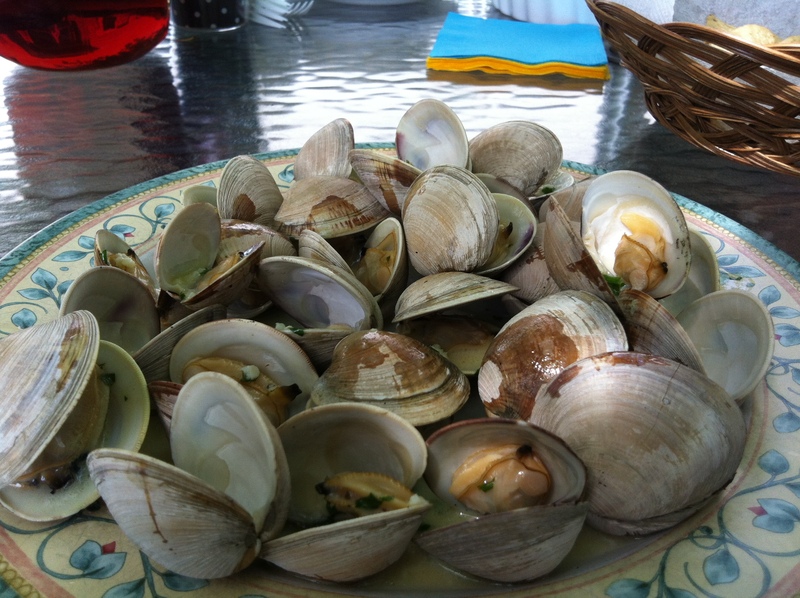 These clams would go great with a beer on a relaxing weekend. Enjoy! 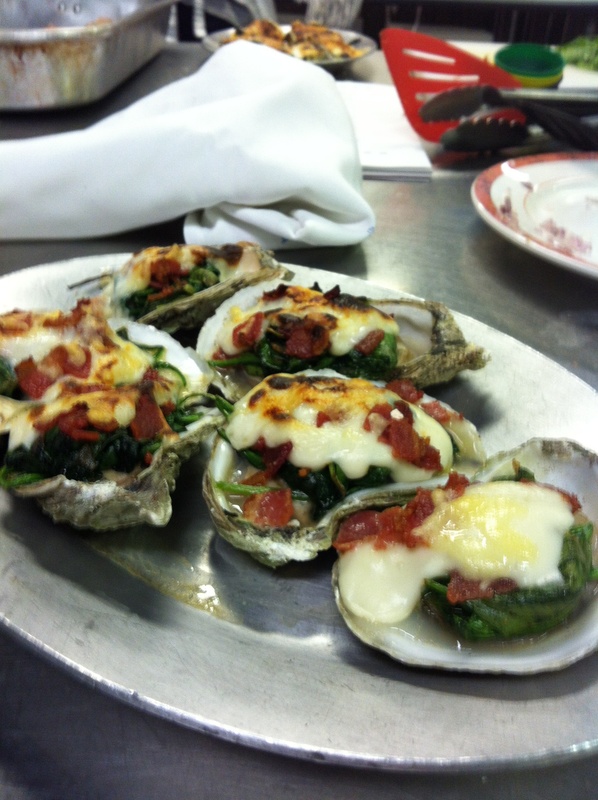 Tonight’s class focused on shellfish. I finally learned how to properly shuck an oyster. It took a few attempts but by the end I was able to pick up the technique. To shuck an oyster you hold it in a towel in your hand, cup of the oyster facing down. You then take the oyster knife and push it through the heel of the oyster. Once the knife gets through the heel you twist the knife to pop the shell. You then move the knife across the top shell to separate it from the oyster. Then after taking the top shell off you cut the oyster free from the bottom shell. I chose to cook Oysters Florentine tonight in order to practice the shucking technique.